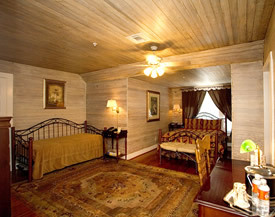 Our accommodations feature beautifully refinished cypress doors and hardwood floors. 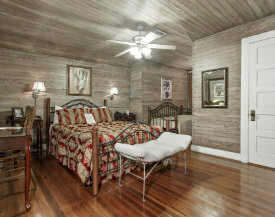 All of the bedrooms have queen-sized beds and PRIVATE BATHROOMS with granite countertops – MOST HAVE JACUZZIS. 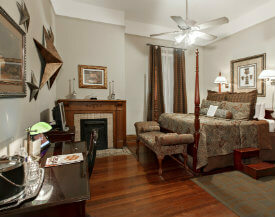 We have two rooms with KING-SIZED BEDS too. 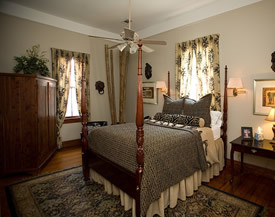 The third floor has two charming bedrooms with pickled wood walls and private bathrooms. 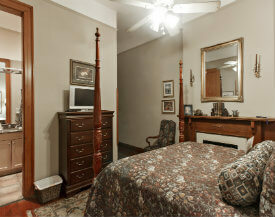 Amenities include wireless DSL Internet, cable TV, hair dryers, guest robes, irons and ironing boards and much more! 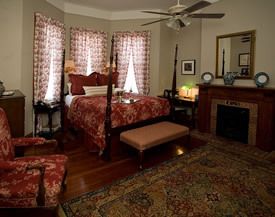 All of our second-floor rooms also feature the Inn Concierge app, which is an iPad that can be used to access information about the inn, the area, packages and specials, and social media applications. 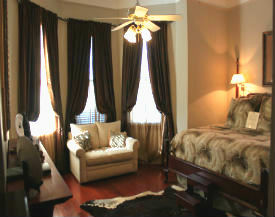 A gourmet breakfast is served daily between 8-10 am in the lovely downstairs dining room. We also offer free soft drinks and snacks 24/7. 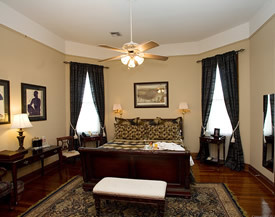 Our convenient Mid-City location makes it easy to see the Big Easy – experience Mardi Gras, music festivals, restaurants, attractions, cultural events, nightclubs, and more. 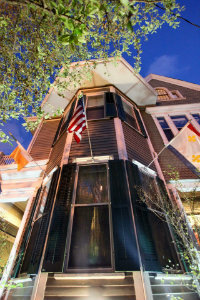 Dining, tours, and entertainment recommendations are provided by host, Larry Watts, and our staff to enhance your visit. Each room page includes a link to view a photo tour of the room – you’ll know exactly what your chosen accommodation looks like before you get here!